I have a long-running mantra about complexity in games, and it goes like this – the more complex a game is, the less it will try to teach you how to play it. Almost every first-person-shooter starts with a tutorial mission that teaches us how to crouch for the zillionth bloody time. Whereas Crusader Kings II, a game that attempts to simulate the mind-boggling complexity of medieval politics and warfare, drops you into the game with only the most hastily sketched of instructions. Even more impressively, this accessibility does not come at the cost of depth. Stellaris arrives with a literal universe of ideas to offer. There are hundreds of planets to explore and conquer, technology trees with labyrinthine branches, limitless procedurally generated alien races, all with coherent governments, cultures and societies. But all of this information is communicated to you with, for the most part, remarkable clarity and precision. It is Paradox’s most polished and professional work. That said, it isn’t their best work. Stellaris may be better explained than the likes of Crusader Kings, but it also lacks some of the nuance and ingenuity of their foremost strategy game. And while by and large it does a good job of clarifying how exactly it works, it overlooks to properly explain some of its most important systems. 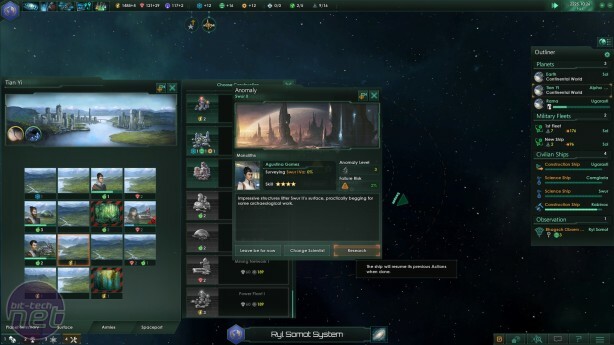 Like Paradox’s previous strategy games, Stellaris is a pausable RTS, only this time you assume the role of a newly fledged interstellar society in a procedurally-generated galaxy filled with mysteries. It’s your job to explore, colonise, contact and ultimately conquer this great star-pocked void, either through careful diplomacy and alliances, or by bombing and enslaving every alien race you encounter. 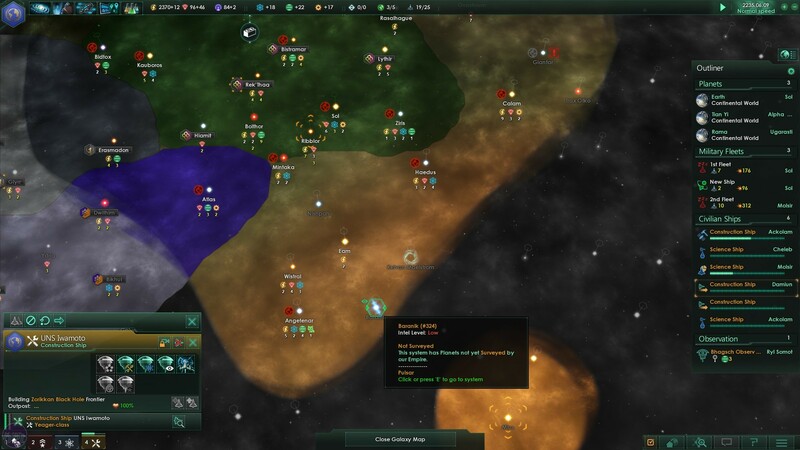 Unlike most of Paradox’s games, you begin Stellaris with no idea of how the strategic land lies. As far as your society goes, you have no idea if there are aliens out there at all, let alone where they are or what the galactic political spectrum looks like. 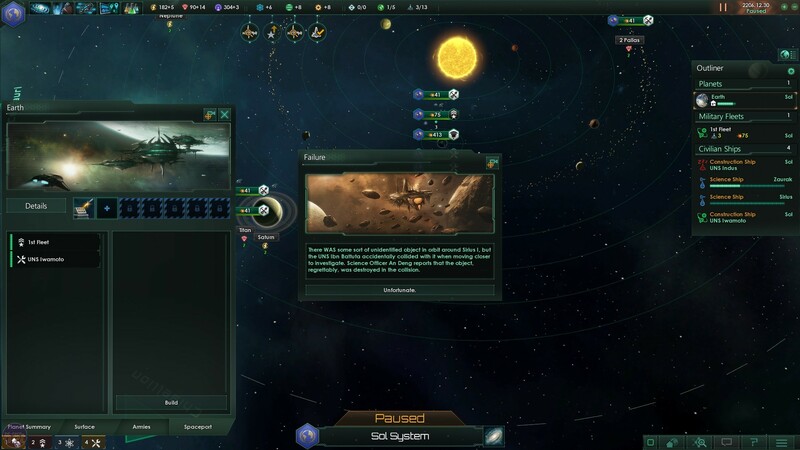 Hence Stellaris’ early game is largely one of discovery, of sending out nippy science-ships to neighbouring systems and scanning them for signs of life, resources, and stranger things yet. It's akin to a sci-fi version of Sunless Sea, as your science ships send back text-based reports of their discoveries. Your intrepid explorers might encounter a strange alien race which, when researched, transpires to be a bunch of ancient mining drones left behind by a long-destroyed civilisation. 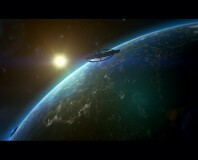 Or they might spy an anomaly that provides you with some useful new tech to research. 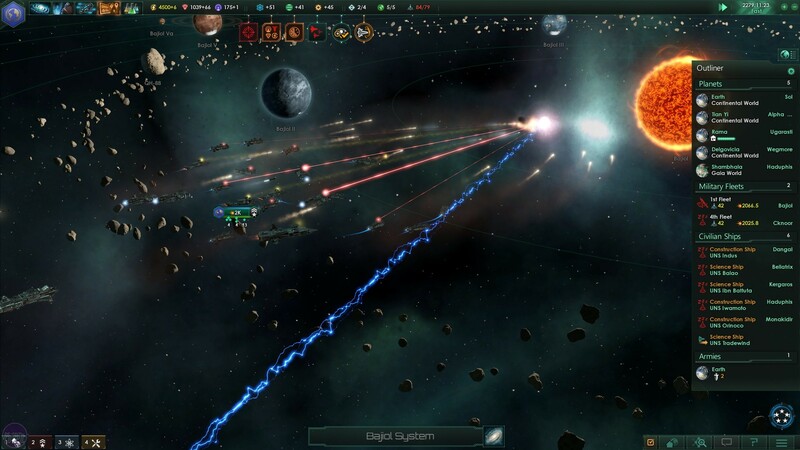 Sometimes your expeditions will go awry, and your ship might accidentally ram into a precious alien artefact with and destroy it, such is the wry humour of Stellaris. I absolutely adore this storytelling element. It adds so much colour and character to what could so easily be a horribly dry game of navigating tech-trees and gathering resources. It also further smooths out Stellaris’ initial learning curve, providing a simple, fun activity to retain your interest as you learn the ins and outs of economy and empire management. And there’s plenty here to occupy your attention. There are three main resources in Stellaris, two of which are fairly straightforward, the other we’ll come to shortly. Energy credits and minerals act as resources and currency at the same time. 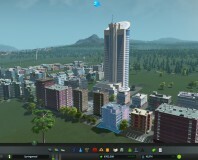 Most objects in the game like ships, space-stations and planetary buildings cost a flat rate of minerals to produce, and many will cost you a small amount of energy each month to run. Obtaining these can be done either in space, by building mining stations and asteroids around planets, or by constructing power plants and such on planetary surfaces. Construction on planets requires a populated tile, which also means the planet needs to be producing a sustainable amount of food to support that population. So proceeds a fairly straightforward game of connecting the appropriate resource chains to output a nice steady income. Where things start to get complicated is with influence. Influence is the third currency in Stellaris, and unlike the others it’s much tougher to acquire. Only a handful of technologies and buildings provide a boost to it, and the only other way you can gain influence is by declaring alien factions your rivals, which they don’t take to kindly and can lead to war. Influence is used to recruit scientists, government leaders, and fleet admirals. But it’s also used to form alliances and build frontier stations which help expand your borders. The latter two actually reduce your monthly influence income, which means you can only have a single alliance and a couple of frontier stations at any one time. 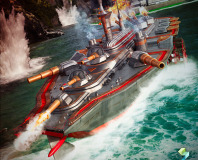 Wargaming's strategy reboot is a decent entry point for newcomers, but won't satisfy long time fans.